Orlando has a widely diverse and vibrant performing arts facilities ranging from the newly opened Amway Center, Hard Rock Live, Disney’s House of Blues and the University of Central Florida’s new arena. Plus a host of smaller theatres and concert destinations dot the Central Florida landscape. 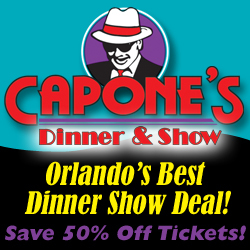 These include Theatre Downtown, SAK Comedy Lab, Bob Carr Performing Arts Center, Dr. Phillips Center for the Performing Arts, Silver Spurs Arena in Heritage Park, Plaza Theatre and the mostly gay Parliament House to name just a few of your options that abound in Central Florida. Annual events dot the calendar so be adventurous, perhaps try something a little more cutting edge, such as the Fringe Theatre Festival or the Orlando Film Festival. Go see a drag show at the Parliament House – an Orlando institution for over three decades. Every taste in music can be accommodated somewhere in Central Florida from the mundane to the outrageous – it’s all here! Think outside the theme park box when planning your next trip to Orlando. 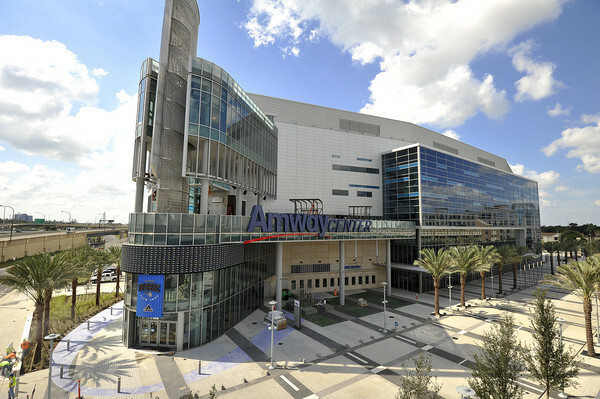 Check and see what concerts are going to be at the Amway Center – the world’s best arena ever built. I have seen the Boston Pops and James Taylor perform there, and I have to tell you, it has incredible acoustics and a host of amenities that boggle the mind. Trust me, you can have a once-in-a-lifetime experience at this sensational new facility in downtown Orlando. Christmas is huge in Orlando – catch the Singing Christmas Trees a tradition at First Baptist Church just off 33rd Street. This mega church enjoys great acoustics and is a locals Christmas tradition. All of the major Theme Parks offer special Holiday attractions, parades and fireworks. See the Macy’s Parade at Universal Orlando. The Candle light processional is a Disney tradition that began in the Magic Kingdom and moved to EPCOT soon after it opened. There just can’t be any more holiday cheer then in Orlando! For more posts on any of these venues, type in their name in our search (top right). Feel free to leave a response below about your visit to any of these venues and share your tips and experience!